A “couture-hat” shaped leaves, set with a diamond gradient. Un “couture-hat” en forme de feuilles, sertie d’un dégradé de diamants. This entry was posted in Uncategorized on June 12, 2014 by Blue Porchers. This entry was posted in Uncategorized on June 7, 2014 by Blue Porchers. Are you looking for a new spot to hang out, socialise with friends, meet new people, relax or simple do some work in nice surroundings? 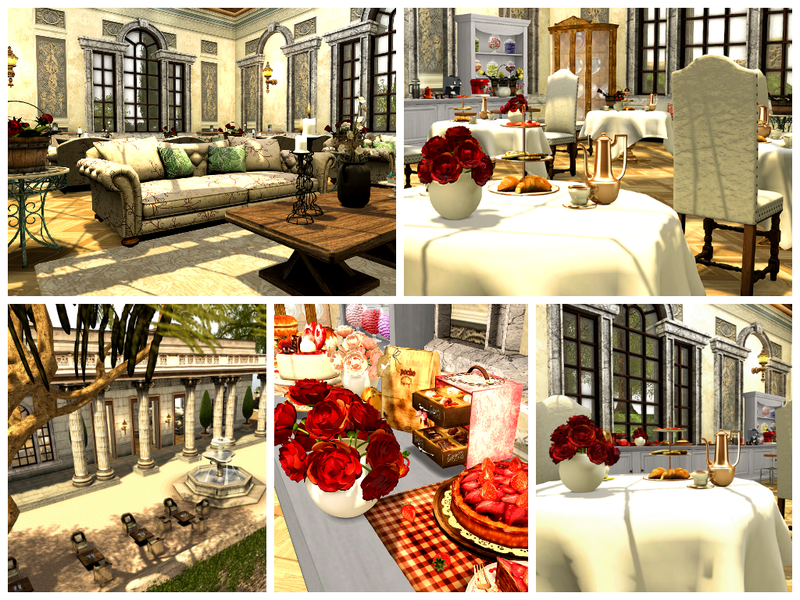 RICO’S TEA HOUSE is a brand new public location on the grid and is a new part of the LTD Family! We welcome anyone and everyone to check it out and spend time here. Tea, Coffee, Milkshakes, Cakes…you name it, it is served here! This entry was posted in Uncategorized on April 11, 2014 by Blue Porchers. This entry was posted in My Favorite Things and tagged AKK HORSE RANCH, Av, Avatar, Avi, beauty, Black, Blue, Blue Porchers, clothing, Complete Outfits, Fashion, Favorite, Hair, INDY & CO., Jewelry, Make-Up, Porchers, SECONDLIFE, Shoes, SL, style, Top, Woman on December 26, 2012 by Blue Porchers.